Attention New Hampshire and Massachusetts residents! Looking for the perfect wedding band to match your engagement ring? Join us at @BarmakianJewelers annual Wedding Band Event from March 1 – 4 at their Boston, Framingham, and Nashua (NH) locations! We will be bringing all of our favorite wedding bands…you and your fiancé won’t want to miss the chance to try them all on! 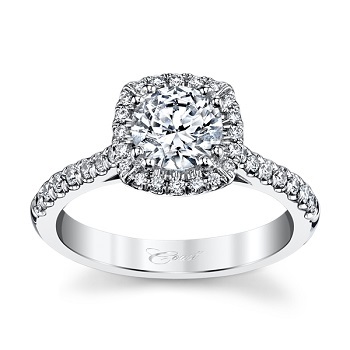 For 40 years Coast designer, Jay Gilbert has been diligent to craft gorgeous diamond rings that are timeless, while adding new designs as trends emerge. At Paul’s Jewelry in Lafayette, LA they share our passion of valuing the past with a vision for the future. From the proposal, to the wedding, to the anniversary, Paul’s Jewelry has been serving couples in Lafayette, LA since 1954. We are confident you will find your experience an unforgettable one and we are pleased to call Paul’s Jewelry of Lafayette our Coast Diamond Retailer of the Week for a third time in three years. An engagement ring does not sit alone for long. Whether you choose the matching band, like in this Coast Diamond hand engraved platinum wedding set (LC6081_WC6081, or you choose a band to create a completely unique set, Coast has an endless selection of wedding bands at Paul’s Jewelry to present her on the wedding day. An anniversary is the ideal time to head to Paul’s Jewelry to choose a diamond band to add to your wedding set, or start a stack for your right hand. Stacking diamond bands is the hottest jewelry trend. This Coast Diamond stackable band (WC7034) has diamonds set in marquise shapes half way around the finger. Stack it with any of our Coast Diamond fashion rings or wedding bands. There is nothing like the gift of diamonds to celebrate love. From the proposal, to the wedding, to the anniversary and any other special occasion, Paul’s Jewelry can help you choose diamonds for your big day. Congratulations to Paul’s Jewelry in Lafayette, LA for being Coast Diamond Retailer of the Week for a third time! The finest of jewelry requires the finest of craftsmen in all areas of the trade. True expertise allows the finest of jewelry stores to be around for a long time, in other words become a classic. Koehler’s Jewelers in Lansdale, PA is celebrating 90 years in the fine jewelry business. Their expertise and passion for fine jewelry spans three generations. Koehler’s boasts two bench jewelers, a certified jewelry appraiser and the most skilled jewelry designers around. Grandparents, parents and now their children know that Koehler’s Jewelers is the finest place to shop for treasured family events. Coast Diamond is thrilled to call Koehler’s Jewelers of Lansdale, PA our Coast Diamond Retailer of the Week! Coast Diamond as featured at Koehler’s Jewelers. Koehler’s Jewelers in the community… As caring community members Koehler’s Jewelers was honored by The North Penn Valley Boys and Girls Club with their “2017 Community Spirit Award” for “their dedication to our communities and their commitment to making a difference in the love of our communities’ children”. Koehler’s Jewelers funds one of the several scholarships awarded to local kids of NPV Boys and Girls Club. Whether it is an engagement ring, eternity band or our ever popular fashion jewelry Coast Diamond is honored to be a part of the lasting memories couples create with fine jewelry. At Coast Diamond we love that our engagement ring designs are chosen time and again as the symbol of a couple’s lifetime of love. 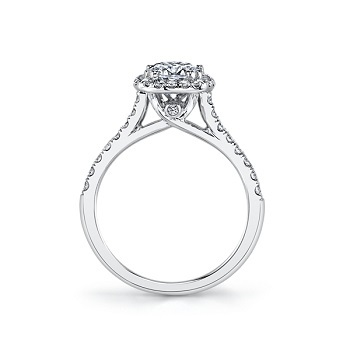 In a fine jewelry store like Koehler’s Jewelers the most classic engagement ring designs are the most popular. The classic Coast Diamond 1CT solitaire engagement ring (LC6125) is delicately finished with fishtail-set diamond on the band. The classic Coast Diamond 2CT solitaire engagement ring (LC10020) has intricately hand set diamonds around the finger and matching wedding band (WC10020). The classic Coast Diamond 1CT cushion shaped halo engagement ring (LC5256) features a peek-a-boo diamond in the cathedral setting. Congratulations to Koehler’s Jewelers of Lansdale, PA for being our Coast Diamond Retailer of the Week! Let Coast Diamond help you find colored gemstone jewelry as unique as your loved one. If she loves sunsets… the Garnet of the Sun, the mandarin garnet, is the centerpiece of this Coast Diamond Signature Color Collection 3.85CT pear shaped madarin garnet ring (LSK10100-MAN). This spectacular ring is surrounded by diamonds with accents of yellow gold. The Coast Diamond Signature Color Collection offers color in unique shapes and sizes. From left to right: the rare 1.17CT demantoid garnet Coast Diamond halo ring (LSK10089-DG) is a round gemstone set in platinum; the Coast Diamond platinum and diamond cushion cut 5.18CT chrysoberyl ring (LSK10040-CHB) is a dazzling green gemstone; fish tail set diamonds grace the halo and band of this Coast Diamond 2.52CT pear shaped indicolite ring (LSK10097-IND); and finally the Coast Diamond Signature Color Collection 1.94CT oval shaped chrome tourmaline (LCK1–62-CHT) is held securely with a double prong setting. The blush colored padparadscha sapphire is all the talk of royal news with the recent engagement of Princess Eugenie, daughter of the Duke (Andrew) and Duchess (Fergie) of York. These Coast Diamond padparadscha rings (LSK10011-PAD, LSK10043-PAD) showcase the oval shaped padparadscha in a halo setting with diamonds down the sides of the ring. Our settings are customizable and can be set in white, yellow (like Princess Eugenie’s) or rose gold, or platinum. Colored gemstones are hugely popular in jewelry trends today and the sapphire leads the way to love. Coast Diamond’s Signature Color Collection boasts not only the padparascha sapphire (above) but also the pink sapphire, the blue sapphire and the most daring yellow sapphire. The alexandrite is the chameleon of gemstones. Our Coast Diamond Signature Color Collection oval shaped alexandrite halo ring (LSK10037-ALX) changes colors from purple to green under various light sources. The vivid blue of the aquamarine resembles a tropical ocean. Express your endless love for her with this amazing 16.03CT oval aquamarine Coast Diamond halo ring (LCA5384-AQ). Ruby red is the iconic color of love. This Coast Diamond ruby engagement ring (LCK5410-R) is stunning with a princess cut center stone. The diamond and ruby eternity band (WC10177C-R) creates a wedding set perfect for your lifetime love. The earthy and classic green tourmaline is the centerpiece of this Coast Diamond Signature Color Collection 6.46CT oval halo ring (LSK10070-GT). She will always remember the love you share with this Coast Diamond 3.42CT pink spinel oval halo ring (LCK10040-SPIN). Whatever your desire, the Coast Diamond Signature Color Collection of one-of-a-kind gemstone jewelry is the ultimate gift of love. View the entire color stone collection here, then visit a Coast Diamond authorized dealer to experience the beauty of The Color of Love.